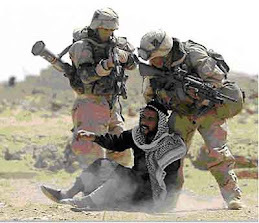 Today marks another date of the anniversary of the invasion of Iraq by US forces in 2003. I’m nearing the end of my 50-day visit to Iraq, hosted by Sami Rasouli and the Muslim Peacemaker Teams (a partner of the Christian Peacemaker Teams). My original plan was to look into war-related contamination, cancer, birth defects, hospitals and life in general in post-occupation Iraq. Two weeks ago, however, it occurred to us that it might be possible to further open up some lines of communication between interested people in the US peace movement and community leaders in Iraq. In particular, Sami had in mind an imam and two sheikhs in Fallujah whom Sami knows well, but unfortunately they weren’t available when we last visited Anbar Province. However, on March 13 we visited the Women’s College in Ramadi for their Convocation commemorating International Womens Day and we had the chance to speak with two of the professors there. Both were very articulate and soulful women with a definite gravitas and depth of character. We spoke to them separately about 25 minutes apart; interestingly, both said that it’s important for Americans to understand the situation of Iraqi women. In retrospect, I wish we had a tape recorder; the quotes attributed to them here are best recollections. Sami asked if she would like her college “linked” to a sister college in the USA, and without hesitation she said, “NO!” That would be a betrayal of her many neighbors and relatives who were slaughtered by the Americans. She said it is necessary to speak frankly about this. 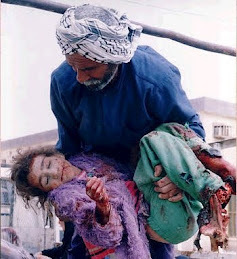 Then she said, ”Saddam Hussein was our leader” – Saddam was cruel to us, but never as cruel as the Americans! Sami gave Fatima his business card and later that evening she called his mobile to apologize for speaking too frankly, in her opinion. Zahra also teaches English at the Women’s College in Ramadi. She is a poet and read some of her poetry in Arabic at the March 13 Convocation. Zahra is originally from Baghdad; I think she now lives in Ramadi. I don’t have a good recollection of much of what she told us because when she said she saw her son killed by the American army before her eyes, I forgot everything she said prior to that. I do recall, however, that she asked, “Aren’t you aware that, several weeks ago, the military court gave no prison sentences to the soldiers responsible for the massacre in Haditha?” She related all this in a centered and non-hostile manner. The next day, Zahra called Sami’s mobile to inquire what brought us to Ramadi in the first place; she has also called again several time since. If you feel inclined to write to these women and express your thoughts and feelings, please send your letter to Sami at sami.rasouli@gmail.com. But as I see it, the potential value of these women is much more than serving as ears or confessionals where we can express our sorrow, sympathy and apologies. Rather, I hope these two articulate Iraqi women, and others like them, could serve to inform the American public about the ugly realities of the war and the occupation, which the corporate media and the US government have so successfully sanitized. One possibility would be to have a documentary film made which focuses on eye-witness accounts from Fallujah and Ramadi. Probably few if any of these nominees have given serious thought to visiting Iraq in the near future, but if any become interested, the Muslim Peacemaker Teams could facilitate arrangements (visas, plane reservations into Iraq, transport inside Iraq, lodging, translators, etc.). And needless to say, each would be so warmly welcomed. About four weeks ago, Sami and I went to Erbil, Kirkuk and Sulaimaniyah. We stayed overnight in the CPT house in Sulaimaniyah and I had a good long talk with the three CPTers there. To the people of Falluja from Veterans for Peace, United States of America: warm greetings and the deepest regret we can express for what you have endured at the hands of our government. We are an organization of former soldiers, sailors, and airmen who have served in the armed forces of the United States and in its wars. Our principal goal is to promote peace and insure that the world will need fewer soldiers, sailors, and airmen. 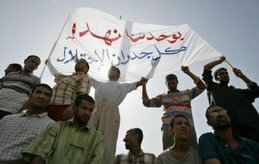 In 1999 Veterans for Peace created the Iraq Water Project to bring clean water to as many people of Iraq as we possibly could, and to protest destructive American policy toward your country. Among the six treatment plant reconstructions we financed was Hai al-Risala, a small facility that serves part of Falluja. In connection with this work several of us have visited your city and been generously received by your people—an experience we met everywhere throughout Iraq. Last November we obtained photographs of the newly installed equipment just a few days before our government unleashed overwhelming violence against you. Bad as this has been for us, we can scarcely imagine what it is like for you. We Americans have not lived in a desolated city, and our newspapers and television reporting consciously avoid showing us what it must be like for others. Apparently we are too sensitive. It is the work of Veterans for Peace to tell the stories our politicians and newspaper people won’t tell. Like you, many of our members have seen the cold and ugly face of warfare staring back at them eyeball to eyeball. We want to put in plain and public view the price—the exorbitant price—so many people are made to pay for a selfish and hypocritical United States foreign policy. 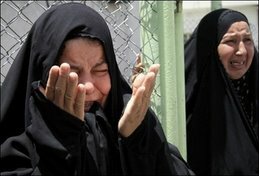 No one is paying a higher price anywhere than the citizens of Iraq. People of Falluja: it is your story we are now trying to tell. We ask your blessing for our work, not only in supplying water but in helping your country achieve a genuine sovereignty free from outside meddling, and a better future. 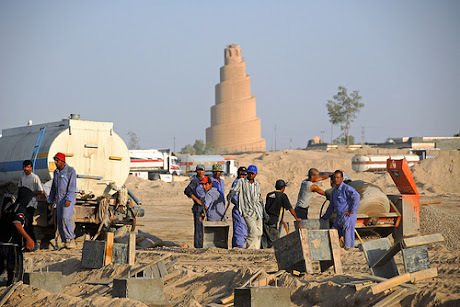 May the city of Falluja and its famous mosques rise again as a symbol of people determined to preserve their past and create their own unique future. Our heartfelt wishes that this may come true.